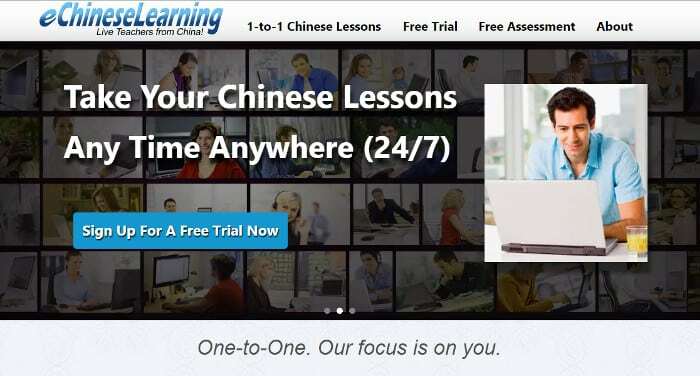 Nowadays there is no shortage of free resources for learning a language: websites, apps, forums, videos, podcasts, you name it.However, many people are still looking for a more professional Mandarin course, the type of course that is generally paid. Personally, in the past few years, I have bought a few of them. Why? Often, you must pay if you want the best resources. Think of Chinesepod, FluentU, Yoyo Chinese or Skritter. Who would take the time to develop such a wonderful learning tools for free? Update: We’re republishing an updated version of this article, which was originally published in 2012. This article introduces my plan to learn Chinese fast, where “fast” doesn’t mean that I hope to learn how to speak Mandarin within two months. Conversely, I intend to optimizing my time and efforts to learn Chinese by only studying an hour per day. My goal is to be able to read Chinese newspapers, understand a talk show and have a “normal speed” conversation with any Chinese person. I want to achieve this purpose within one year. Chinese is the sixth language that I’m learning so this plan is based on my past experience. Also, I’m a big fan of SRS (spaced repetition software). If you are just starting to study Mandarin or you never heard the word “SRS” before, you should definitely keep reading! What is immersion and why is it so important? How can I achieve “immersion” in my own country? Why do I like FluentU? How much does FluentU cost? In this article, I am going to review FluentU, a database of YouTube videos in Mandarin with subtitles (and much more). Because I think videos are the best way to achieve “immersion” while studying a foreign language. Admittedly, talking with native people on a regular basis is even better; however, it’s not always possible and, at least when you are starting out, it’s extremely difficult. What is immersion? And why is it so important? You can’t learn a new language by just “studying.” In the end, mastering a language comes down to being able to communicate effectively with native speakers. The language you can learn through books is usually quite different from the spoken language, and with Chinese, the gap is even larger than with English or French, for example. When we firstly published it, in June 2012, this list contained 25 resources. However, we update it every year with the best web sites and free apps that we “discover” (many of which were suggested to us by you readers). Our goal is not to list all the free resources dedicated to learning Chinese; rather it’s to present to you the best of each of the categories listed above. Keep reading to find a brief review and corresponding link to the web site of each resource cited. The unstoppable progress of today’s technology has been the source of significant advances in language learning, and Chinese is no exception. Both mobile apps and online resources have led to many possibilities for improving the effectiveness of studying. 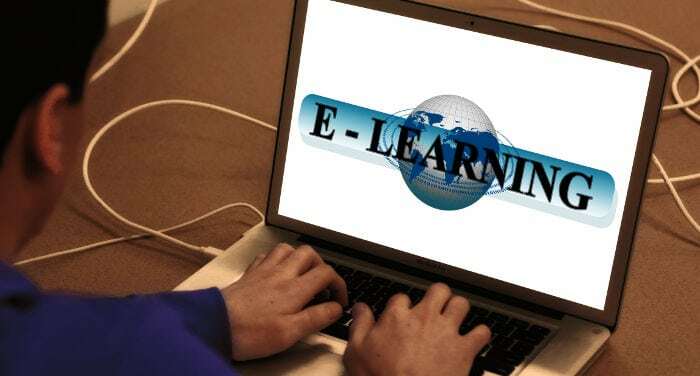 However, in this article, we are going to focus on individual lessons online, which constitute a veritable revolution, as they permit access to good teachers regardless of where you are. Skritter is, in my opinion, the best way to learn how to write Chinese characters. I used it ten minutes per day for about one year and I managed to learn how to write more than 1,000 characters (all the charactares on the HK4 list, to be precise). Also, I learned the meaning and pronunciation of those characters. Why do you need a software to write characters? If you watched the video at the beginning of this post you already know that the software is pretty cool. Welcome to SDC’s Chinese level test. Before you start, it’s important that you read the instructions closely so that the test is as accurate as possible. This test has been created in collaboration with the Chinese school EsChina Space. Fill out the form to start the test! In what city do you live? Test for levels HSK1, HSK2 and HSK3: This test is especially designed to assess Chinese levels up to HSK3 (or A2 of the European Reference Framework). 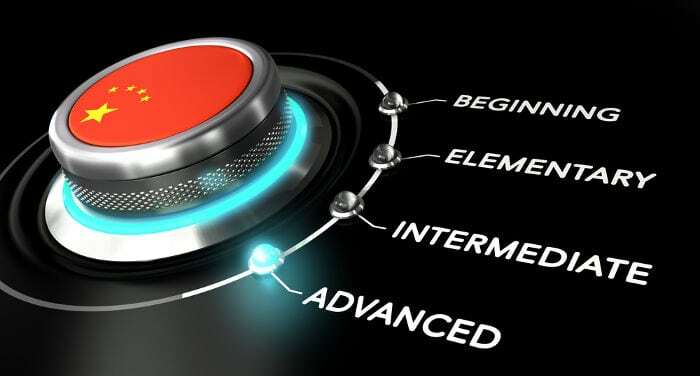 We are currently working on offering other tests for more advanced levels that will soon be available on our website. Maximum duration of one hour: Even though the majority of people can finish the test in a bit more than 30 minutes, we have limited the test time to one hour so that results are as accurate as possible (simulating an official exam). Make sure you have enough time to complete the test! The level test has eleven exercises: We have divided the level test into four listening exercises, three reading exercises, two grammar exercises and two writing exercises. 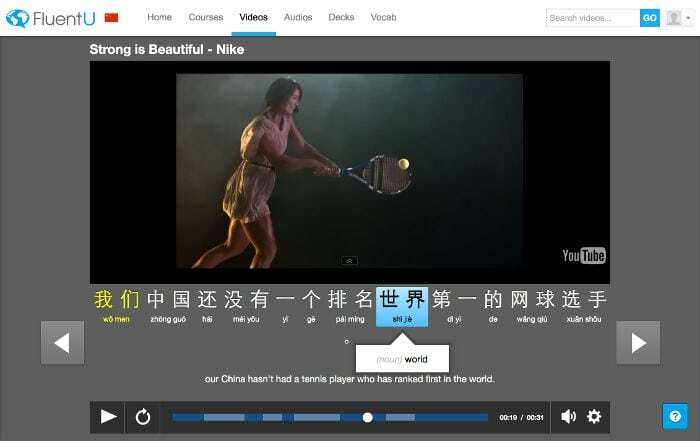 This article is an exhaustive review of Yoyo Chinese, a popular online platform for learning Chinese interactively. 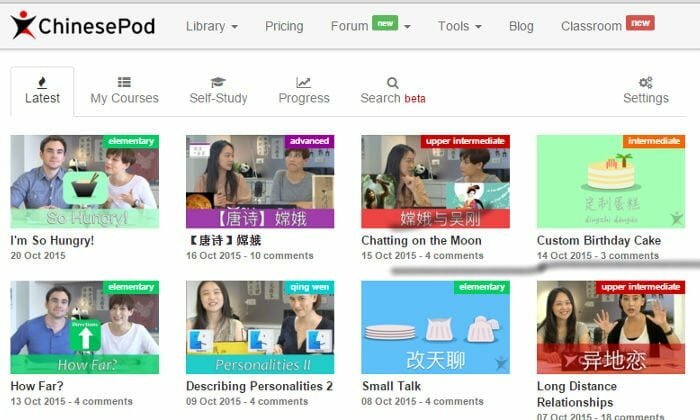 Yoyo Chinese is an online platform that offers a complete course for learning Chinese that covers all aspects of the language (vocabulary, writing, grammar and written and oral comprehension). 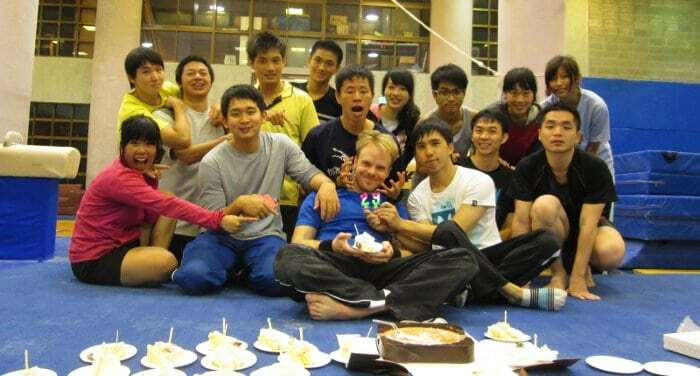 The course is based on video lessons both from teachers as well as on real situations in China. Yoyo Chinese focuses its program for learning Mandarin Chinese from a practical point of view in order to improve your real communication abilities (both written and oral), leaving more academic instruction on the language in the background. In other words, this is a course for people whose priority is to learn the Chinese used every day. Try Yoyo Chinese now! The first 20 lessons are free! This is my review of ChinesePod, my favorite podcast for learning Chinese language. 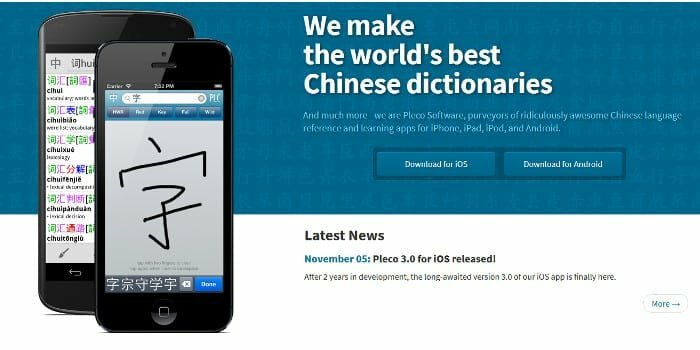 I originally wrote this review in 2012; I’m updating it today because, during the last three years, ChinesePod changed quite a bit. 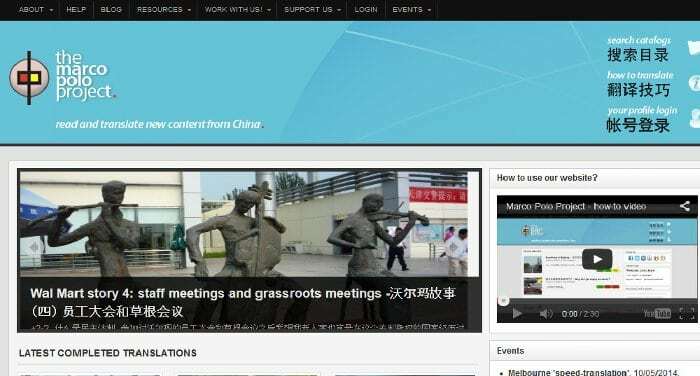 When we started this website in 2011, one of our goals was to find good resources and courses for learning Chinese online. In this article, I would like to present one of the courses that I have tried lately, eChineseLearning, which in my opinion, is one of the best products currently on the market for learning Chinese in a personalized way. 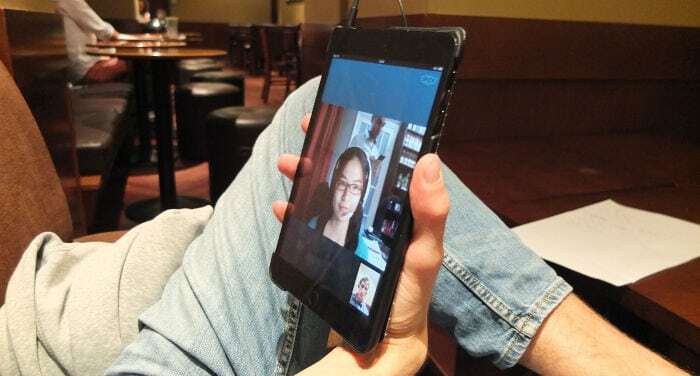 eChineseLearning is an online Chinese school which offers personalized individual classes through Skype lessons with native teachers located in China. The price for a 50 minute class varies between 8 and 25 USD depending on the type of class you choose and its duration. 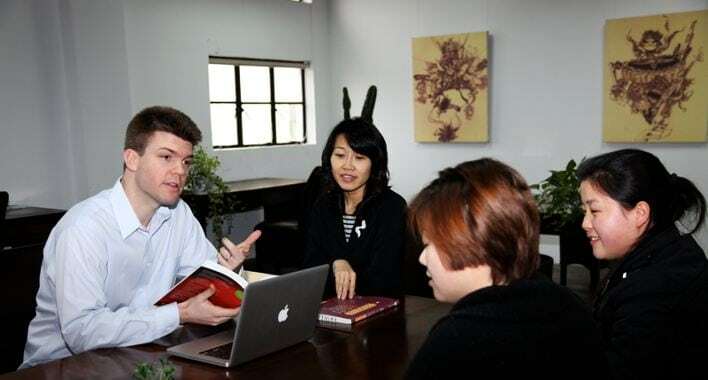 To get an idea, a one year conventional course that includes training in oral comprehension, oral expression, writing and reading costs around 12-17 USD for one class. This article is a review of ChineseClass101, a popular online platform for learning Chinese through podcasts, although it is much more than just that. ChineseClass101 is an online platform that offers a complete Chinese course for all levels, ranging from people who don’t know a single word to those who have already been studying it for a few years. The course is structured around hundreds of podcasts as the main study material and also contains a series of tools to help you consolidate what you learn from the audio tracks. I “discovered” the videos of Mike Laoshi, at the time Mike Hainzinger, in 2012, a few months after I began writing here on SDC. 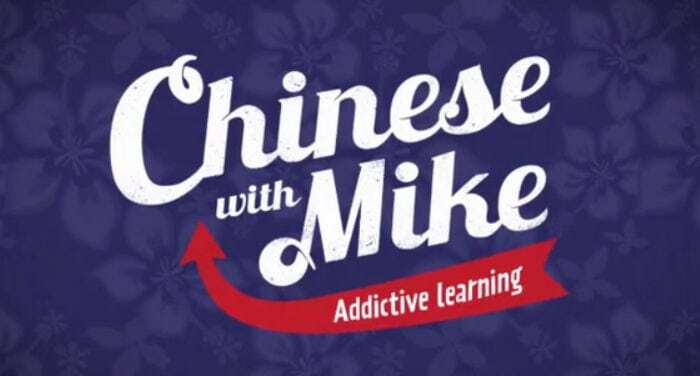 I spoke well of him on various occasions and a few months ago, John Murray Learning, the English publishing house that has published the course, has asked me if I was willing to review “Chinese with Mike”. I said yes. So they sent me a copy of the DVDs and textbook that goes along with the video course. If you want I send it to you… just joking, if you’re interested the course is available on Amazon.com, you’ll find it here. Why is “Chinese with Mike” not just another video course? As a student of Chinese at the end of my three year course, I’ve spent many – too many – nights in the books or, worse still, seeing characters flutter before me until I finally went to bed. My Chinese books have notes in every free corner, and are worn out. I’ve used a disproportionate number of exercise books and pictures books, often with kittens or cartoons on the cover. And the dictionary… Here’s where things get interesting. Just before officially enrolling and registering for a Chinese course, I bought a dictionary. A lovely green and white brick that for me represented the solution to all my problems, the source of all possible knowledge. However I barely used that dictionary, thanks to Pleco. 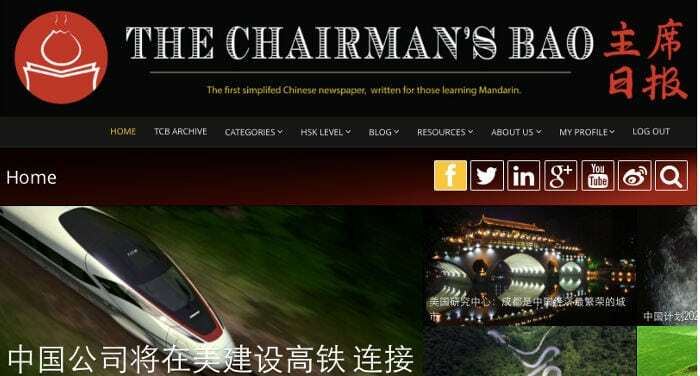 After almost a year we come back with our interviews to the superstars of Mandarin language, that this those people that not only are studying Mandarin but, through the internet, contribute to the always growing community of Chinese learners with their own wisdom. A couple of weeks ago we received an email from Paola Costa, founder and director of Linguese, an online platform that provides private Mandarin lessons through Skype. 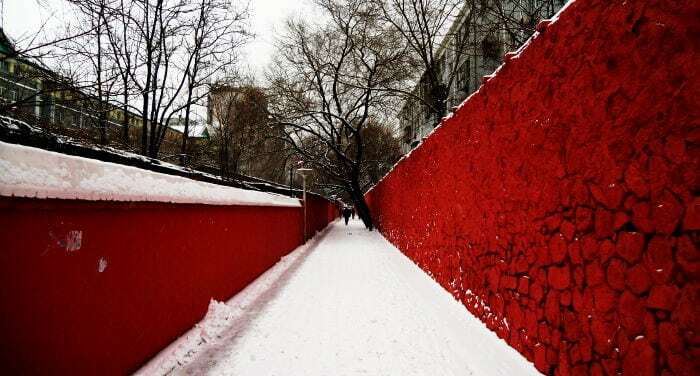 The idea seemed quite interesting to me, especially because the teachers are language professors that teach in Chinese universities and, at the same time, the prices aren’t too high. So I sign up on to their website and I scheduled a free trial lesson. Even if at the beginning I was a bit skeptical, after the trial class I was convinced that Linguese offers an interesting alternative to who wants to learn Mandarin but is too busy to join a traditional Chinese school on his city. Thus we decided to publish this review and even got a discount code of 10% for all the readers of SDC that want to purchase any Linguese’s package. The discount code is “SdC10off”. If you search the web I’m sure you’ll find hundreds of articles written by people that were able to master Chinese language and are willing to explain how they did it. Even this website features 10-15 articles on the topic. This article goes in the opposite direction: here you’ll find the best strategies to NOT learn Chinese. In other words, you’ll find out all the mistakes I’ve done during my four years as a Chinese learner. 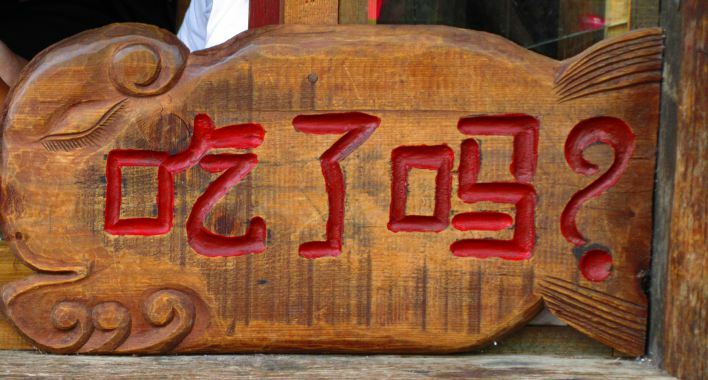 Want to learn the fastest way to learn how to write Chinese characters? Click here! Just to recap my situation, on February 2013 I’ve started to learn how to write Chinese characters using Skritter, an interactive software that allows you to learn characters faster by reviewing flashcards with a clever scheduling (click on the link if you want to understand how it works). Add new flashcards and review old flashcards for a total of ten minutes per day. Using mnemonics to actively study the characters that I can’t remember (instead of trying to remember them by reviewing them over and over again). Study all the characters and words of the HSK lists from HSK1 to HSK4, that is 1076 characters and about 700 words composed by the same characters. While I was editing the interview that I did with Julien, the founder of Marco Polo Project, I was fascinated by the problems one needs to solve in order to grow an online project to the point of having enough human and economic resources for investing even more on software and content development and create a great product.